I started working at Uplands helping with kids summer clubs in summer 2011 , I continued working part time as a Gym Instructor and Receptionist. Since then I qualified as a Level 3 Personal Trainer, Exercise to music – and Spinning Instructor. I am finally ready to contribute to getting the country fit and healthy. I have been playing basketball for 8 years now and have had a wide range of experience from where I started playing basketball in Spain, to getting a good range of experiencehere playing for school, county, regional, national and working my way up to England standard. I am now playing for Tonbridge Knights men’s team. I’ve had some good experiences working with different coaches and have been taught in a range of different ways and now I can put these coaching styles together and have a coaching style of my own. Having pushed myself up to England standard and being part of a team has made me love motivating people and making them realise that if people put good effort into something. there is no reason why they wouldn’t achieve their goals. Training Philosophy … Train today NOT tomorrow! Lorna Sumner: “I never thought when I joined the gym that I’d be someone who paid extra for PT. 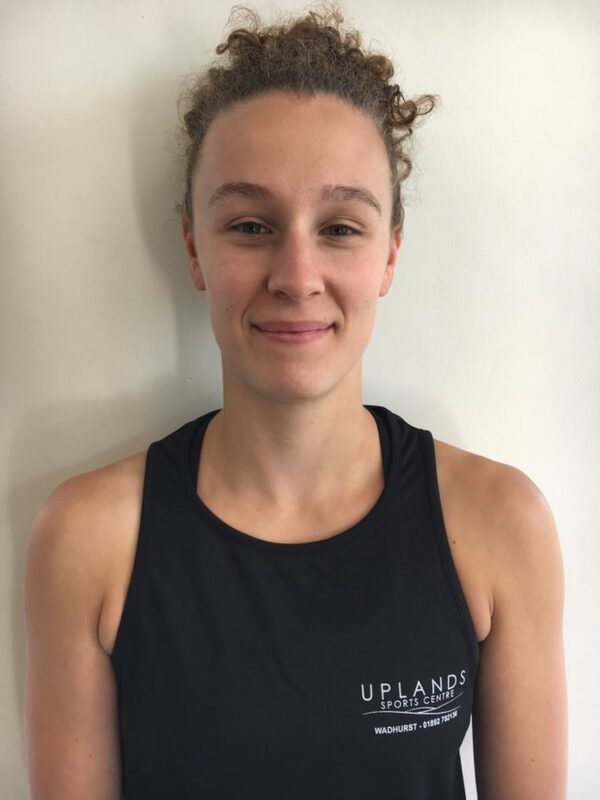 Ingrid Stapple: I have had Nadine doing my PT sessions for several months and have to say that she is very dedicated, knowledgeable and an excellent PT. Nadine works with you to achieve your goal with great encouragement and passion,giving you the confidence and always with a smile on her face. I have had 1 massage session with Nadine while she was doing her qualification and again this was done with total professionalism and sound knowledge. Nadine checked that the amount of pressure applied was okay and that I was comfortable throughout the session. Definitely felt the benefit after her massage.